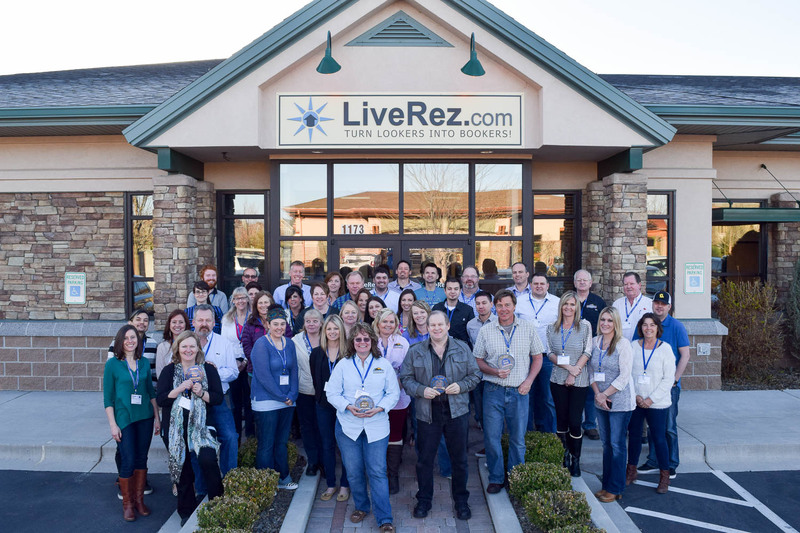 Last week multiple LiveRez partners made the trip to Boise, ID for the first workshop of the year – some traveling from as far away as Michigan. Over the course of two days, these managers received a complete docket of system training from basic reservations to accounting to CRM to marketing and much more. In the afternoon hours, many received one-on-one training from LiveRez employees. Whether it was helping them understand the CRM system to aiding them in setting up their email marketing to one-on-one accounting assistance, the LiveRez team was ready and willing to help. Every afternoon, the group was also treated to a sneak peak of upcoming LiveRez technology. Included in the demonstrations were innovations designed to simplify the reservation process and take property care and operations to a new level. But the workshops weren’t all about learning. There was some fun to be had, as well. On Wednesday and Thursday nights, partners were treated to dinner receptions, where they could get to know the LiveRez team better and network with fellow managers. And when it was time to leave, the partners didn't just return home with new ideas and a better understanding of the LiveRez system, they also brought home custom-made partner medallions. While it was hard to see them go, we were thrilled to have so many amazing partners make the trip to Boise for our workshops. And, we look forward to seeing many more as we release the dates for upcoming workshops.